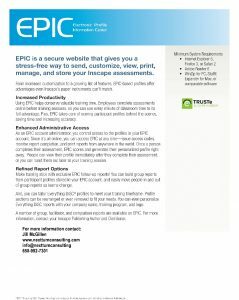 The Electronic Profile Information Center (EPIC) system developed by Inscape Publishing and offered through NEXT TURN. 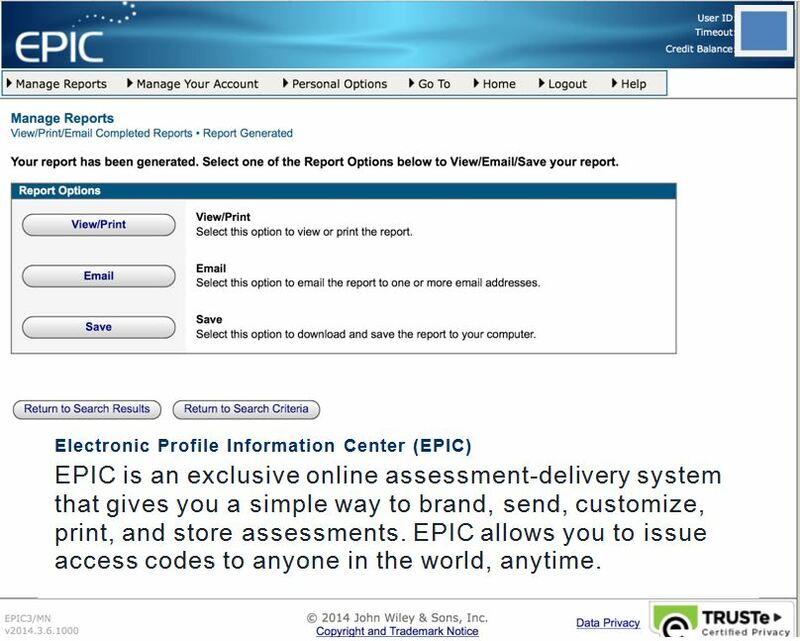 The Electronic Profile Information Center (EPIC) system developed by Wiley Publishing and offered through NEXT TURN. It is a user-friendly and powerful system that lets you take complete control and manage all of your Wiley Publishing online training products. 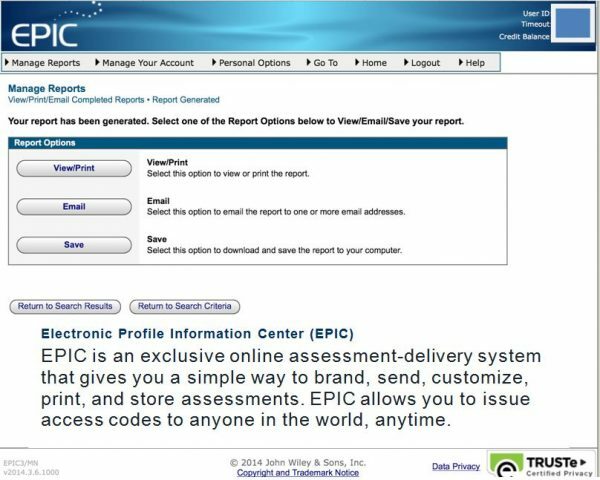 The EPIC system was developed to allow you to send online codes, print and edit and save the resulting reports. It is a cost effective option to hiring outside consultants. 1-hour complimentary consulting time and access to all online EPIC tutorials and guidebook. EPIC credits are equivalent to currency and 1 EPIC credit is $4.30. The number of credits for each online code/report vary depending on length and content.